At The Creative Mobility Group, our mobility scooter rental program is designed to be both flexible and economical. Whether you’re looking to rent a mobility scooter for a day, a weekend, or a month, we have short and long-term rental options to meet your needs. For your convenience, we also offer delivery and pickup throughout Michigan for your scooter rental. There are several different scooter models available. You can review the different models to select the option that will best meet your needs or speak with a Rental Coordinator for assistance. A knowledgeable team member will instruct you on proper use of the equipment at the time of delivery. To request your scooter rental, simply complete the online form and Rental Coordinator will be in touch with you shortly to confirm your reservation. 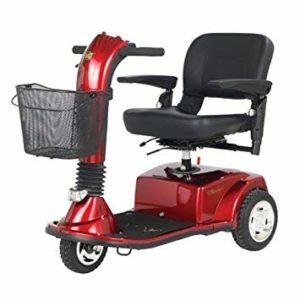 In addition to mobility scooter rentals, we also offer rentals for wheelchair vans, manual and power wheelchairs, stairlifts, and ramps. Flexible short-term and long-term wheelchair van rental options with vehicle delivery available throughout Michigan. Manual and power wheelchair rentals are available for daily, weekend, or long-term rental periods with delivery available throughout Michigan. Straight stairlifts are available to rent. The Creative Mobility Group will install and remove a stairlift so you or your loved one can remain independent at home. Portable and modular ramp systems are available to rent. 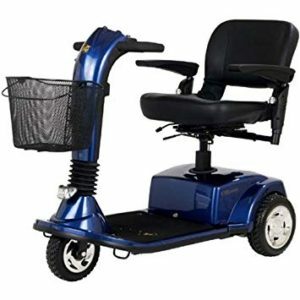 The Creative Mobility Group will install and remove your system when it's no longer needed. Driver’s license can be emailed to rentals@creativemobilitygroup.com. Full deposit refunds are provided if a 7-day advance notice is provided. For cancellations with 3-6 day notice, a $25 cancellation fee applies. Reservations cancelled with less than a 3-day advance notice are subject to a $50 cancellation fee. *Listed daily rates are based on pickup and return at same location within 24 hours from time of the scheduled reservation. Rates do not include 6% sales tax and delivery fees. Rates based on rental of travel or mid-size mobility scooter or similar. Rate will be provided before a reservation is confirmed. Additional charges may apply for optional accessories. Equipment must be returned in the same condition it was issued or fees will apply. Rates are subject to change without notice. **Pickup Friday after 2pm and return Monday before 9am. Not sure which model is best for you? We’re here to help. Speak with a Rental Coordinator at 888-998-4264 for assistance selecting your rental scooter model. *Battery range is estimated at 200 lbs and will vary due to rider weight, drive surface, and terrain. If this will be your first time using or renting a mobility scooter, let a knowledgeable Rental Coordinator assist you through our simple process by calling 888-998-4264. You may also chat with an agent through our website. We look forward to serving you. It is recommended that you make your reservations at least two weeks in advance. The summer months and holidays are the busiest times of the year so it is best to call as early as possible. Deposits are $100 for 1 to 6 day reservations, $300 for 7 to 29 day reservations, and $500 for 30+ day reservations. What kind of scooters do you rent? We rent several different scooter models to meet each individual needs. Please review our model options for more information. I’ve never used a mobility scooter before. Will someone show me how to us it? Yes, a knowledgeable team member will go over how to use the scooter safely at the time of delivery or pick up. Can I rent a scooter for one or two days in order to help make a purchase decision? Absolutely! The Weekend Special is a great way to evaluate if a van purchase is right for you or your family. In many instances, your full rental charge will then be credited towards your purchase. If I am arriving at the airport or can’t get to my nearest CMG location, are you able to deliver? 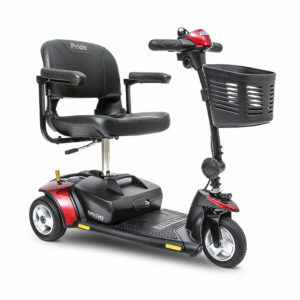 Yes, we provide delivery of mobility scooters, though additional charges often times apply. Please notify your Rental Coordinator at the time of making your reservation to confirm scheduling and pricing. Still have a question? Please contact a Rental Coordinator at 888-998-4264 or chat with an agent below for personal assistance.